Simply put, they complement each other perfectly. Q: Tell us the story of how BuddyPoke was envisioned. A: We'd always worked for other companies, and disliked the company politics, etc, and always dreamed of just going and doing our own thing. When we saw the huge success of Slide's slide shows on MySpace, we quit our jobs and started work on a 3D pets widget. Facebook apps and OpenSocial weren't live yet and our first project failed miserably because we completely lacked a distribution model with viral channels. Fast forward a bit, and Nintendo Wii is huge with everyone making miis and talking about avatars. There was Playstation Home and Second Life. Also, the Simpsons Movie was just about to released and allowed for you to "Simsponize" yourself. We thought about the 30+ minutes people were putting into customizing their avatars, without any way of doing any cool interaction with friends. We also thought about the interesting fact that most people who installed these types of console games did it mostly for character personalization or "dress up," rather than to actually play the game. Bottom line, we knew we had to do something about it. Facebook apps then started to take off, and OpenSocial came out. We closely watched what worked and what didn't on Facebook by looking at usage charts of the top 200 apps. After a lot of trial and error, we applied our 3D backgrounds to some of the ideas and came up with a way of doing the 3D rendering in Flash. That's when we came up with BuddyPoke. Q: Describe your implementation and why you decided on Google App Engine. A: During the time that we were focused on researching app usage, we noticed that most apps were struggling with scalability. Their difficulties sounded vaguely familiar with our current implementation and we knew we needed to find a platform that would help us avoid the same issue, especially since we were working on the version for MySpace. The main thing here was timing with the release of Google App Engine and the announcement of OpenSocial. All of a sudden we found ourselves able to quickly roll out our app to the various OpenSocial sites without having to worry about scaling. Q: Tell us about your overall development experience and any obstacles you have encountered along the way. A: When Google App Engine first came out, the big learning curve was BigTable. Our data models were horrible. Then, after watching Ryan and Brett's talks at I/O, we redid everything and it's running well now. Our only concern is the organization of our code on AppSpot - everything runs on one AppSpot site. If we knew ahead of time of our success, we would have broken the code up in groups to make updating easier. Also, our main ask is XMPP support so that we can implement chat on App Engine. One last thing...we're thrilled about the success of BuddyPoke. The barrier to entry is so low from a developer's perspective. We never imagined having 3D characters seen by so many people, without having to even think about the technology behind them or without even having to buy a Wii. We really enjoy hearing from developers in the community about inspiring stories, so if you have something you'd like to share, visit our online submission form. Better yet, come tell us your story at Google I/O. You can also check out Dave & Randall's cool story on the Ning blog! Continuing with the Google Narratives Series, we'd like to profile Google App Engine and OpenSocial developers, Dave Westwood and Randall Ho of BuddyPoke! 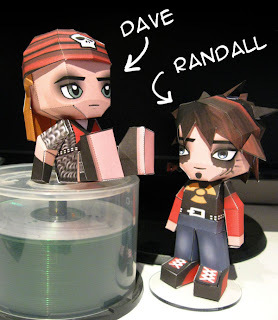 Dave and Randall both have backgrounds in 3D and avatars for the last 11+ years, with work in various web 3D games, facial tracking, facial animation, and mobile avatars. They've worked at five companies together - "Dave does all the technical stuff and I'm the technical artist." Simply put, they complement each other perfectly.  is a global program that offers student developers stipends to write code for various open source software projects. We have worked with several open source, free software, and technology-related groups to identify and fund several projects over a three month period. Since its inception in 2005, the program has brought together nearly 2500 successful student participants and 2500 mentors from 98 countries worldwide, all for the love of code. Stephanie Liu of the Developer Programs team sat down with Leslie to understand the history of the program, hear some of the many success stories and find out what's new for SoC 2009. Leslie Hawthorn is a Program Manager for Google's Open Source Programs Office, where she's the Community Manager for Google Summer of Code. She serves on the Advisory Board of the GNOME Foundation and the Open Source Business Resource, as well as the Steering Committee for the Humanitarian FOSS Project. Her personal website is http://www.hawthornlandings.org. Google Summer of Code is a global program that offers student developers stipends to write code for various open source software projects. We have worked with several open source, free software, and technology-related groups to identify and fund several projects over a three month period. Since its inception in 2005, the program has brought together nearly 2500 successful student participants and 2500 mentors from 98 countries worldwide, all for the love of code. Stephanie Liu of the Developer Programs team sat down with Leslie to understand the history of the program, hear some of the many success stories and find out what's new for SoC 2009. Open source projects now have customizable logos! You can use this to maintain consistency with your other websites or just for fun. Here's an example of a project with its own logo. To update the logo on your project, click on the Administer tab (as long as you're a project owner) and upload an image. It will automatically be resized. You can switch back the default logo or upload a new logo at any point. Google projects such as Chromium will retain the large Google logo. For other notable changes, see our groups post. have mostly been behind the scenes: improving our base libraries, security, stability, and performance. But recently, I made an addition to Chrome Experiments, a site we just launched today. With the Monster experiment I had a chance to step back from working deep within Google Chrome's C++ code, and give my right brain a little exercise. Compared to creating the 3D model beforehand and embedding the data in the application, Monster creates the mesh using software algorithms in real time while the demo runs. This has some nice advantages like decreasing download time, but it requires even more processing power to draw every frame. The demo starts with a simple cube, but as it progresses, the cube is smoothed and pulled apart to become exponentially more complex. The values used in these operations are varied over time, creating an animation that brings the monster to life. Anytime during the demo you can hit 'p' to pause, and explore the scene with your mouse. With a bit of careful programming (ok, a lot) and the performance of V8, it's possible to do all this work and still generate smooth and consistent graphics. Over the past year or so, my contributions to Google Chrome have mostly been behind the scenes: improving our base libraries, security, stability, and performance. But recently, I made an addition to Chrome Experiments, a site we just launched today. With the Monster experiment I had a chance to step back from working deep within Google Chrome's C++ code, and give my right brain a little exercise. As shown above, the new version of the GoogleBar contains advertising. Profiting from the advertising personally is as easy as signing up for an AdSense account and including your AdSense publisher ID when you create the GoogleBar. See the recent Maps API Blog post for details. Whether you already have a map on your webpage or not, it only takes a few lines of code to embed a fully searchable map into your site - the GoogleBar documentation will tell you everything you need to know. 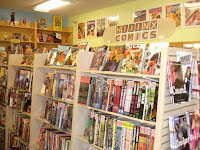 The GoogleBar is built upon our low-level Local Search Control. For those interested in peeking under the covers, check out the Local Search Control documentation and Code Playground examples. Questions or comments? Please visit the AJAX API and Maps API discussion groups. A few weeks ago, Brad Neuberg sat down with Kevin Marks for an informal chat about technology, live video, the changes in software development over the last decade and OpenSocial. The video below is an edited version of their conversation, but if that only serves to whet your appetite, you can view the full version here (Part 1, Part 2). Be sure to look for the part in the video where Kevin talks about what it was like to work with Douglas Adams. 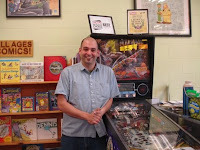 Kevin Marks is the author of the popular blog Epeus Epigone. In his 20-year long career, he played a major role in the development of live streaming video as a member of the Quicktime team at Apple, founded the Multimedia Corporation and as Principal Engineer at Technorati, built the spiders that make sense of the web and track millions of blogs daily. Today, in addition to being a developer advocate for OpenSocial, he is also one of the co-founders and a driving force for Microformats. Brad Neuberg is a developer advocate at Google for the Open Web. He has created a number of libraries and frameworks for expanding the capabilities of web applications and is a core member of the Dojo project. He blogs at codinginparadise.org. This video is the second in our video series "Code Conversations". You can view the first episode, a conversation with Chris DiBona on open source software here. I've been working on a follow-up book to High Performance Web Sites called Even Faster Web Sites. As I finish chapters, I talk about the findings at conferences and tech talks. The first three chapters are Split the Initial Payload, Load Scripts Without Blocking, and Don't Scatter Inline Scripts. You can hear about those best practices in my video from Google I/O. This talk presents the next three chapters: Couple Asynchronous Scripts, Use Iframes Sparingly, and Flush the Document Early. There are five techniques for coupling asynchronous scripts: hardcoded callback, window onload, timer, script onload, and degrading script tags. All of the techniques work. Degrading scripts tags is the most elegant, but isn't well known. Script onload is the most versatile technique and is the one I recommend people use. In the talk, I then go into detail, including many code examples, on how to load scripts asynchronously and use these coupling techniques to speed up your web page. Iframes have a negative impact on web pages. They are the most expensive DOM element to create. They block the parent's onload event (although there's a workaround to this problem in Safari and Chrome). Also, the main page can block resources in the iframe. It's important to understand these interactions if you use iframes in your page. Flushing the document early allows the browser to start rendering the page and downloading resources in the page, even before the entire HTML document has arrived. But getting flushing to work can feel like trying to get the stars to align. You need to understand PHP's output_buffering, HTTP/1.1's chunked encoding, Apache's DeflateBufferSize, the impact of proxies, minimum HTML size requirements in Safari and Chrome, and the need for domain sharding to avoid having the HTML document block other downloads. If your company wants a better user experience, increased revenues, and reduced operating costs, the key is to create even faster web sites. For more information on these best practices, watch the video below and read the slides. Google Summer of CodeTM, our flagship program to introduce college students to open source development, opens today. Over the past four years, we've seen nearly 2,500 successful students "graduate" from the program, and we're looking forward to welcoming another group of students for our fifth year. We're now accepting applications from open source projects who wish to act as mentoring organizations and will begin accepting applications from students on March 23rd. 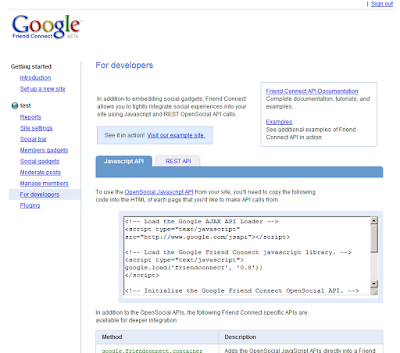 For more details, check out the Google Open Source Blog. "Code Conversations" is a new series of videos intended to film casual conversations with notable Google developers and legends in the technology field. No agenda, no topic... just thoughts. This video is the first episode of this series, in which Chris DiBona, our intrepid open source programs manager talks to Stephanie Liu of the Developer Team about his "sweet goatee" in the Chrome Comic. He also explains why Google open sourced Chrome and Android and why we didn't do it sooner. He also touches on why much of Google's software isn't open sourced. Chris DiBona is the open source programs manager at Google, where his team oversees license compliance and supports the open source developer community through the release of open source software projects and programs such as the Google Summer of Code. Before joining Google, Chris was an editor at Slashdot, has edited the books Open Sources: Voices from the Open Source Revolution and Open Sources 2.0: The Continuing Evolution and formerly co-hosted the FLOSS weekly with Leo Laporte. His personal blog is called Ego Food. Stephanie Liu is a Programs Manager on the Developer Team here at Google. We'll be checking your comments on this post for feedback and ideas for future Code Conversations. With SIGCSE kicking off today, we are happy to announce that we pushed a small - but fresh - addition of course materials to Google Code University, a growing repository of open access Computer Science materials. With the credit belonging to Berkeley and UC San Diego, there are now more Distributed Systems materials available which complement some of the other CS resources. As usual, the materials are Creative Commons licensed allowing adaptations and modifications to fit new course designs. We'll also be participating and presenting at SIGCSE, so be sure to chat with us if you'd like to contribute course materials, or you're welcome to discuss in the forum. As Google's developer program continues to grow -- already over 60 APIs and tools on Google Code today -- we credit much of this growth to a culture of exploration and rapid iteration, and to the invaluable feedback and insights we receive from you about each product as it evolves. Reflecting this culture, we're pleased to introduce Google Code Labs today as a home for developer products still in their early stages of development. Our hope, of course, is that all of our developer products grow up to be huge successes, but we realize that not every single one will reach that goal. The Labs program offers engineering teams at Google and the developer community a chance to explore ideas and get involved early. With that background, we're also announcing that several of our best-known and most-used APIs and tools are among the first set of Google Code Labs "graduates" -- including App Engine, Google Web Toolkit, AJAX Search API, Maps API, Earth API, Calendar Data API, YouTube APIs, and more. See the full list of graduates on the Google Code Labs page. For these graduates, we're increasing our commitment with published deprecation policies and other critical support services. The Visualization API terms, Contacts Data API terms, and Picasa Web Albums Data API terms include good examples of transparent deprecation policies. They state that we'll support each version for at least 3 years from when it's deprecated or a newer version is introduced. We're working to get policies posted for the other graduates as well, though the time period may vary a bit from product to product. It will be 3 years for most, but it might be less for some. The AdWords API, for example, has a policy of supporting old versions for 4 months. Of course, even established products need a way to experiment with new features. With that in mind, some products will have features labeled "experimental" that could change (or even be removed) at any time, while the rest of the API is covered by a deprecation policy with long-term support. There are additional hurdles for an API to graduate from Labs. They include requirements like having a dedicated, ongoing engineering team and comprehensive test suite. We also want to do things like the App Engine System Status Dashboard for more products. Finally, we'd like to bid a fond adieu to one of our first developer products, the venerable SOAP Search API. It has been deprecated since 2006, when we stopped accepting new developers for the API, and it's finally hanging up the gloves and retiring on August 31st. It has been steadily declining in usage over the last couple years and we believe that the majority of use cases are sufficiently handled by the more comprehensive AJAX Search API (which supports not only web search, but local, news, images, video, and more). For those interested in migrating, there are more details in the AJAX APIs blog. Thank you for making the past five-plus years such a success. We look forward to doing great things together with Google Code Labs and we hope you'll join us in congratulating the new graduates. Doug was hitting on all cylinders. I've heard him deliver this talk before, but this rendition was off the scale in terms of clarity, humor, and takeaways. He flowed effortlessly from broad observations to detail-oriented code samples. Tune in to the video below, and follow along with the presentation. It's enjoyable and enlightening. What a great combination. Thanks, Doug!